Loving Me. Loving You: JM's Blog that you're going to love. What's behind this blog and why is it launched? Well, in celebration of the 25 posts on John Michael Angelo: Science Etc., this blog was created to make a dose of daily updates and some definite reviews on CD albums, fastfood chains (whether old or new) and so much more. Being a Blogger has never been this easy. True! With my blog that is open for public, I have to make sure that every blog post I'm into posting it and sharing it with other people in social media, I really have to make sure that comments are welcome at each blog post. Who's the owner of this blog? Although some of me knows me already, you never know why I'm into blogging. I am John Michael P. Angelo, officially a graduate of Our Lady of Fatima University-QC Campus, a student who's into educating other people very soon, turning in to be an official online blogger. 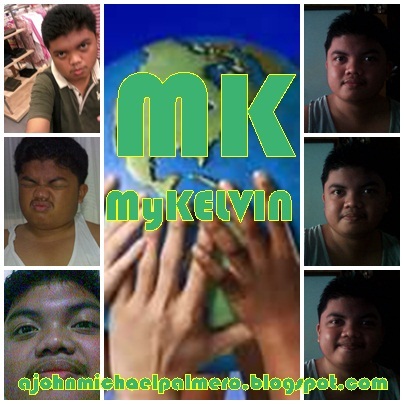 This is my 2nd Blog Site which is only an extension to my 1st Blog Site which is John Michael Angelo: Science Etc. The said blog on the preceding paragraph consists of the 1st dose of updates about me and some facts and trivial trivias on Science, as well as some album reviews and random posts from Facebook and random tweets from my official 3 Twitter accounts. Subscribe, follow and tweet with me. This is an extension and this is the start of my 2nd Blog. But the 1st Blog won't stop posting. Whenever there is a special blog post that I'd like to share, it will be found on my 1st Official Blog. Daily dose of Random Tweets from Twitter and Random Posts from Facebook will be posted here on my 2nd Official Blog Site. So, share, +1 it, tweet my site and follow my blogsite.